Item Size: 7 1/3" x 11 3/4"
SPECIAL NOTICE: We are currently selling the the "new" revised FTC Buyers Guide window stickers for used cars. 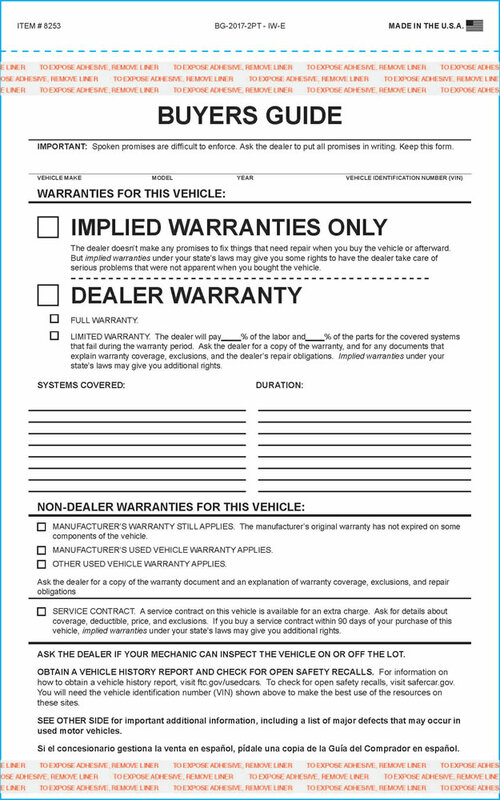 Buyers Guide-Implied Warranty Form style used by auto dealers. This buyers guide form has permanent adhesive tape on the top and bottom allowing them to be attached to windshields. They're printed in black ink with grey back printing. 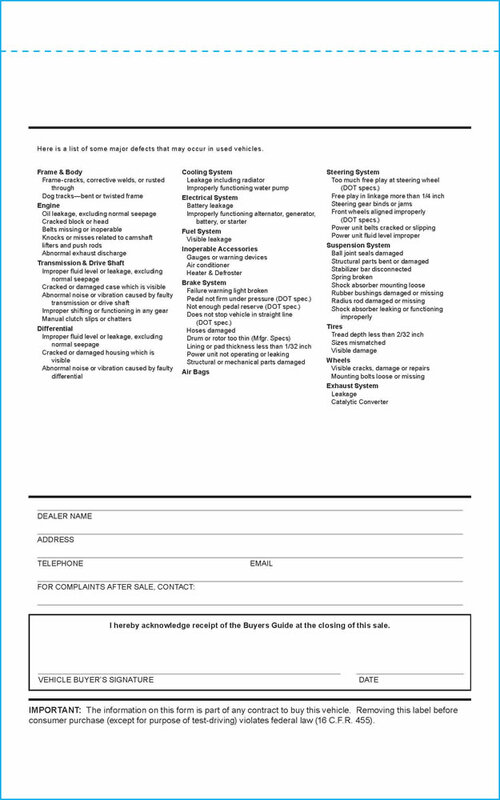 This Implied Warranty Buyers Guide can be CUSTOM designed to match your specific business needs, or purchased now with the generic design pictured. To place a custom order, please call 866-348-6414. Ask about our FREE design service! Size: 7 1/3" x 11 3/4"
COMPARE OUR PRICE to Great American Automotive Products. THEY'RE MORE EXPENSIVE … American's Price is 100 @ $18.50 (#BFA6) … for their implied warranty buyers guide. Great Service. Got my order extremely fast!! Well satisfied!